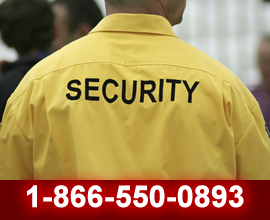 Bay Valley Security provides a thorough background check, such as previous employment and history of reliability. Upon acceptance, Bay Valley Security employees are placed on a mandatory 90-day probationary program. Once completing their initial 90 day employment, every security officer is individually reviewed and evaluated by Bay Valley Security management in a personal conference. After careful examination of performance records, officers are critiqued in each of the following areas: attendance, punctuality, uniforms, personal appearance, job performance, adherence to policy, and client satisfaction. Each employee obtaining a satisfactory rating is notified in writing and given a wage increase and /or promotion. Those employees determined to be unsatisfactory are likewise notified and given a 30 day notice to correct deficiencies. In the event of illness or accident to the officer on duty, a supervisor/rover who is entirely familiar with the job site will report to duty. If necessary, on-the-job training will be conducted by the supervisor/rover to assure ability of any additional replacements to perform the necessary tasks. When notice time is too short, the supervisor/rover will personally assume the post duties until arrangements can be made for a replacement to report and relieve the supervisor. 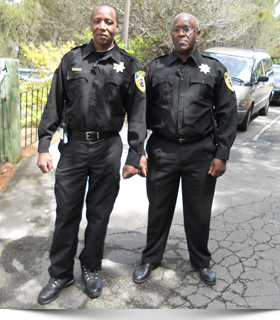 Bay Valley Security ensures that officers arrive on post at designated starting times. If an officer does not check in on time, the on-the-job officer is required to notify the main office and continue to cover his/her post until relieved. This precludes any open coverage and is provided at the standard billing rate. Every officer must at all times adhere to company standards as well as those of each client.